What if a bunch of college sports team mascots gussied up their costumes and descended on a soundstage to hold a singing contest? 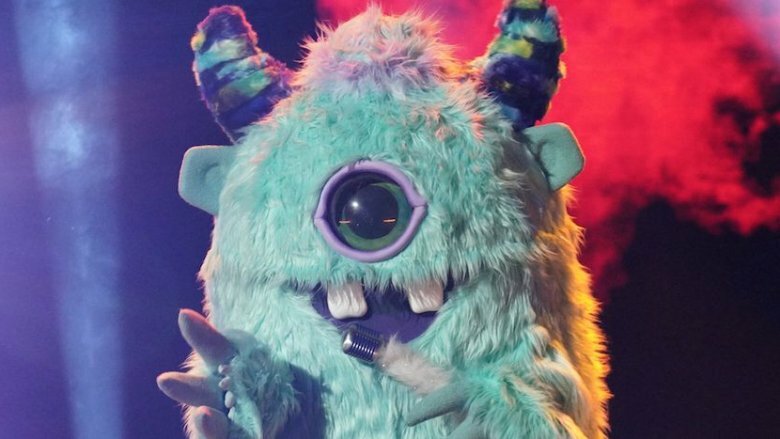 Or what if a bunch of celebrities dressed up like stuffed animals designed by the House of Gaga and then asked an audience to love them for their musical aspirations, rather than the thing for which they are primarily known? Both of these insane scenarios could be used to describe Fox's midseason hit reality competition series The Masked Singer. Such a high-concept show with such a simple title, but those three words pretty much let the audience know what it's getting. Fading celebrities, former household names, and various and sundry other famous people put on elaborate and whimsical animal and creature costumes, then go out onto a stage and sing a popular song. Then it's up to the judges (and viewers at home) to guess who's under the masks. 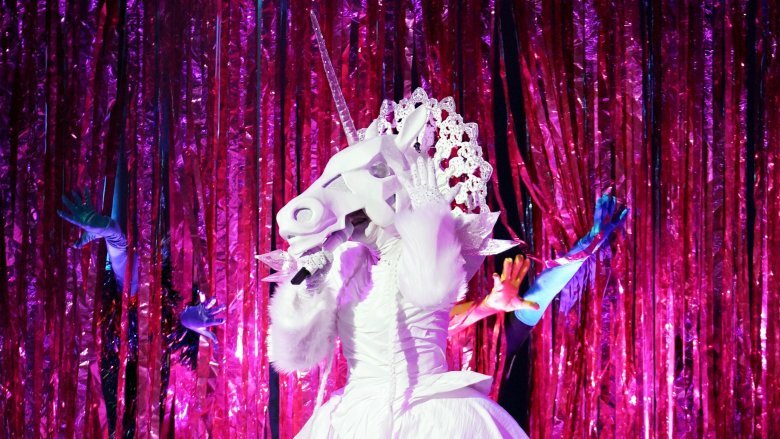 It's no secret that The Masked Singer is a surprise smash hit and cultural phenomenon. Here's everything we can tell you about this secretive series. As much as The Masked Singer seems like something you imagined while home sick with the flu, it's actually based on a hit show from the other side of the world. Mystery Music Show: King of Mask Singer, or just King of Mask Singer, debuted on South Korean network MBC in 2015 and was an instant hit. While the masks differ slightly (the Korean version features face costumes that look like cartoon characters as opposed to monstrous versions of Disneyland characters), it rocks the same format. 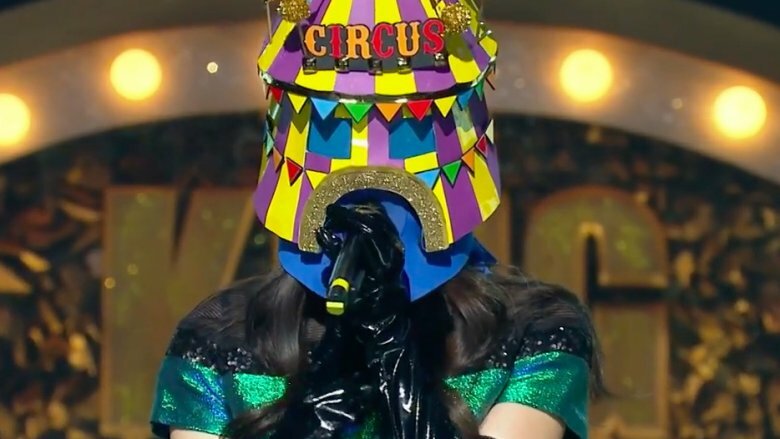 For example, one of the first costumed contestants whose identity was revealed was Kim Yeon-woo, who sang for the '90s band Toy but appeared on King of Mask Singer as "Chemical Weapon Cleopatra." The show was so popular — and bizarrely unique — that it quickly spread to other networks around Asia, including broadcasters in China, Thailand, and Vietnam. In late 2017, Deadline reported that an American version was in the works for Fox, courtesy of former NBC reality programming head Craig Plestis. He'd seen an episode of Thailand's version while dining at a Thai restaurant in Los Angeles. He told The Hollywood Reporter that everyone in the place couldn't look away, and within a few days, he'd secured the American remake rights. "I just knew right away this was a special show," Plestis said, in which "special" means full of "nightmare-inducing" masks. 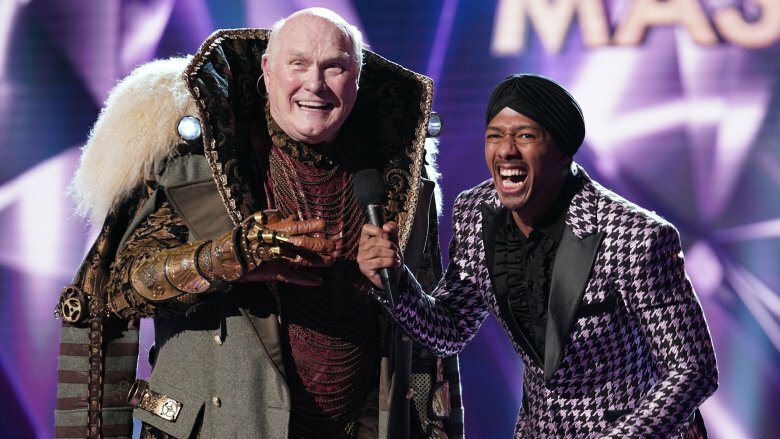 While The Masked Singer suddenly appeared on Fox's primetime schedule shortly after New Year's Day 2019 amidst modest publicity, its arrival wasn't without warning signs. The first time Americans got a taste of the delights of famous people trying their best to sing songs while wearing elaborate, identity-concealing animal costumes came all the way back in the spring of 2018. 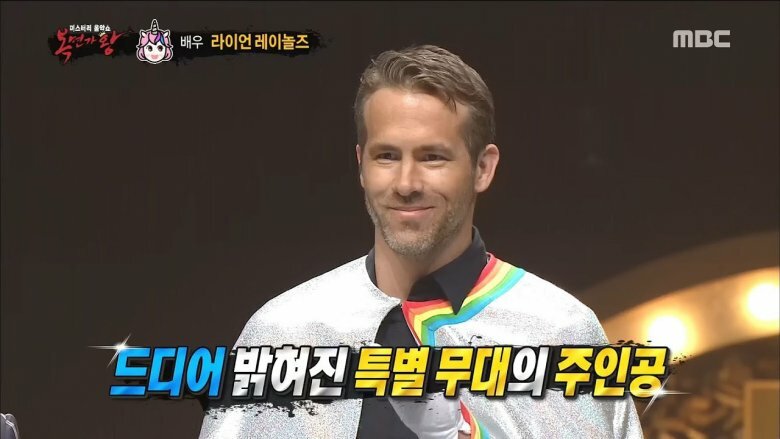 Countless unsuspecting individuals viewed a viral video of a man in a unicorn mask who sounded just like big-time movie star Ryan Reynolds singing "Tomorrow" from the musical Annie on a bizarre Korean reality show. Well, it was big-time movie star Ryan Reynolds, and his guest spot on King of the Mask Singer was just one element of the nontraditional, bordering on guerrilla marketing, campaign for his movie Deadpool 2. However, the King of Mask Singer judges didn't quite nail it. One judge speculated that the guy in the unicorn outfit was President Donald Trump, which is absurd because he didn't have a movie to promote. Not since the 1930s Hollywood "studio system" covered up unmarried actresses' pregnancies has an entertainment product gone to such great lengths to maintain secrecy. The Masked Singer's producers and crew have apparently planned for every contingency to ensure performers' faces aren't revealed until the appointed time. As most shows have a "bible" of character descriptions and plot notes, The Masked Singer also has a "secrecy bible," which according to Executive Producer Craig Plestis (via Variety), is "thicker than the format bible." Among the procedures in that book-length document: Only seven people on the show's enormous staff know the identity of the contestants at the beginning of the series. That's because the contestants' appearances were obscured at every opportunity — when on set they wore "masks and special visors" as well as "gloves and long pants" to hide all skin. According to judge Ken Jeong (per Us Weekly), "Not only are the contestants in masks but their managers, agents, and publicists are all in masks, too, because the judges may know them." Even before they got to the shooting location, the not-yet-masked stars had to hide. "Before they even left their house, they had to meet at another location," Plestis told The Hollywood Reporter. "We had drivers who had no idea who they were. Everyone was under a different alias." Upon arrival on the set, the singers were "sequestered into a private area" watched over by security guards. All that to prevent people from finding out the Poodle was comedian Margaret Cho. The Masked Singer is more than just masked C-list celebrities. It's also got unmasked B-list celebrities! We're talking about the judging panel (although since the studio audience votes on its favorite singer, the judges don't actually "judge" anything.) They're just there to make guesses on behalf of the viewing audience. Producers landed a fairly impressive batch of talent for an unproven show. Robin Thicke, best known for the monster hit "Blurred Lines," for which he was heartily sued for allegedly stealing parts of it from Marvin Gaye's "Got to Give It Up." He told Entertainment Tonight that he signed on to The Masked Singer because he was so taken with the aforementioned viral video of Ryan Reynolds. Nicole Scherzinger, she of the Pussycat Dolls, agreed to be on the panel, but only after passing on the chance to be one of the masked performers. 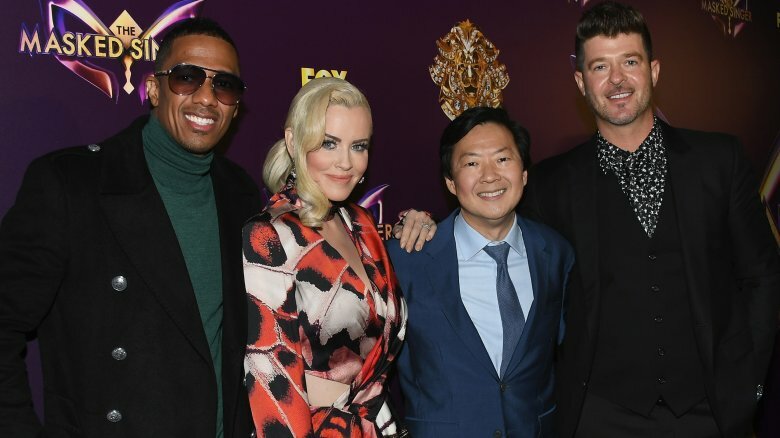 Ken Jeong — known for his work in The Hangover and on Community — has a personal connection to The Masked Singer. He's Korean-American, and his Korean mother loves King of Mask Singer. "I wanted my mom to finally be proud of me," he joked at a Television Critics Association event (via Broadcasting & Cable). A lot of work goes into keeping the identities of the performers secret during their time on the show when it's obviously of utmost importance to do that, but each episode — which includes at least one de-masking or "reveal" — is taped well in advance of its air date. How are the revealed contestants' famous names and million-dollar faces kept hush-hush after their "ta-da" moments are captured for the cameras? Is it really possible to get a studio audience to just not say anything on Twitter or Instagram? Actually, it is, yes. According to an interview with Executive Producer Craig Plestis in The Hollywood Reporter, while the performances happen in front of a full house, the unmaskings go down in front of a much smaller audience. "We did the reveals in front of a truncated audience that we vetted thoroughly," he said. "And some friends and family, as well," he added, meaning people who'd be shunned and ostracized from family gatherings and text chains if they spilled any info. Still, they got that trust in writing. "Our lawyers [wrote] contracts that were a mile long that everyone had to sign to keep the secrecy," Plestis said. Toybina drew costume idea sketches before singers were cast, and then "the producers and I were able to figure out which 12 we wanted to keep," she told The New York Times. "From there it was more collaborating, letting some of the cast members possibly choose their own costume." She worked closely with the masked singers to make them feel comfortable, which included adding "breathing mechanisms, putting fans inside of masks." This wasn't all off the top of her head, though. "I was able to introduce everything that I was inspired by — Donnie Darko and Edward Scissorhands had a huge influence on the rabbit costume," she said. "The whimsical side of Narnia had a little bit of an influence on the lion and the unicorn." The Masked Singer loves masks so much that it has the word "masked" right there in its title. It also loves "singing," and a variant of that word is also in the name. As such, the setup, execution, and specifications of the masks — and how singing is realistically and cleanly managed in spite of those masks — are the biggest production challenges faced by the show's crew. According to Variety, when contestants are backstage but not yet in costume, they wear oversized, identity-obscuring sweatshirts that read, "Don't talk to me," which stops people from talking to them and thus prevents them from talking … and then accidentally revealing their possibly recognizable speaking voices. When contestants speak on-air — such as bantering with host Nick Cannon or in their pre-recorded interview segments — those voices are altered in the name of keeping the mystery intact. However, their voices are not changed at all during the actual singing performances, which are executed live and never pre-recorded. Executive Producer Craig Plestis says the masks were carefully constructed for clarity. "A lot of research and a lot of energy was spent on sound quality and testing out these masks," he told Variety. "It's about constructing the mask so there's not an echo … there are certain ways to construct these masks so the voice can come out and project the voice properly." It's got big stars in it, honest! 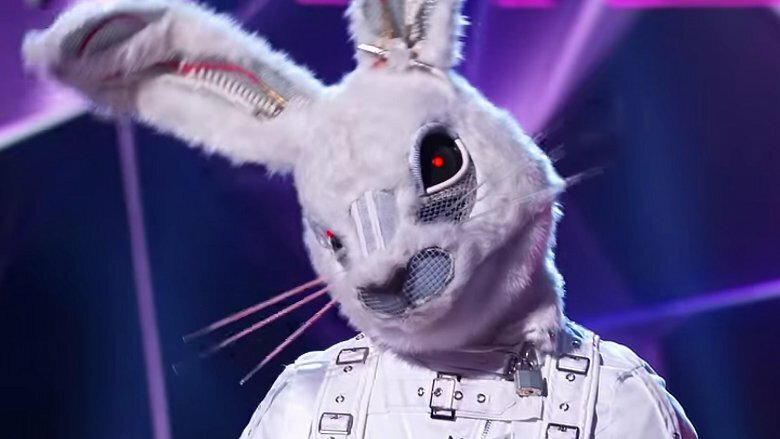 Before it debuted to huge ratings, Fox had to carefully market The Masked Singer. Usually, ads for a new show tout the people involved — the marquee stars you might remember from other TV series and movies, and thus know and love. The conceit of The Masked Singer absolutely precluded that from happening. Instead, the Fox marketing department had to play up how tantalizing it was that the names of the stars involved couldn't be revealed. However, to prove that these were real "name" stars (and not, like, a forgotten Real Housewife or the fourth lead from a TBS sitcom), ads touted the collective achievements of contestants. It's the same strategy that Executive Producer Craig Plestis used when pitching the show to Fox executives and potential advertisers. "You can't use the big names, at all, to sell," Plestis told Variety. "I can only say there are 65 Grammy nominations here, four Emmy winners, four people who are Walk of Famers, three who have bestselling books." So why would a famous person agree to the somewhat embarrassing prospect of singing through a wacky mask on television? Well, why does any celebrity do anything? Why does anybody do anything? For money. At least, that's why Tommy Chong appeared on The Masked Singer. 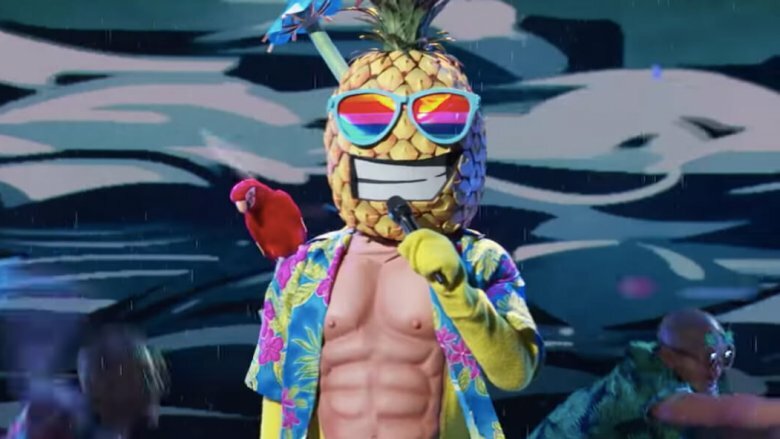 Chong, the comedian and actor best known for being half of the legendary Cheech and Chong comedy duo (and for playing burnout Leo on That '70s Show) was revealed as the "Pineapple" on the second episode of the singing competition series in 2019. According to an interview with The Hollywood Reporter, Chong said that after producers explained the show to him, he replied, "'OK, when do I get paid?' That was the only question." Chong also revealed that while he looked forward to the "challenge" of singing, he really didn't want to say no. "Any time you're asked to be on a major show, the first impulse is to say yes," he said. That's because he still regrets a gig he did decline. "I turned down a Disney job one time. Lion King, by the way. It cost me a million dollars or so, but I thought the Cheech and Chong brand would be sullied if we all of a sudden became a Disney character. But that was my only mistake," he said. About the only thing working against The Masked Singer is that it's a show on a broadcast network. Technology has drastically cut into network ratings as more people tune in to cable channels, play video games, watch a show a couple weeks later on Hulu, or binge an entire season of something a year later on Netflix. And yet, The Masked Singer seems to be bucking those trends. It's bringing Fox — and by extension, all of broadcast television — some of the best numbers for a reality show in years. According to Deadline, the debut episode — meaning no word-of-mouth about the show had enticed people to tune in yet — brought in 9.36 million total viewers and scored a 3.0 in the advertiser-coveted 18-to-49 demographic. That made it the No. 1 show of the night in both total viewers and younger ones. That also made it the most-watched, regularly-scheduled reality show debut since Fox launched the American version of The X Factor in 2011. 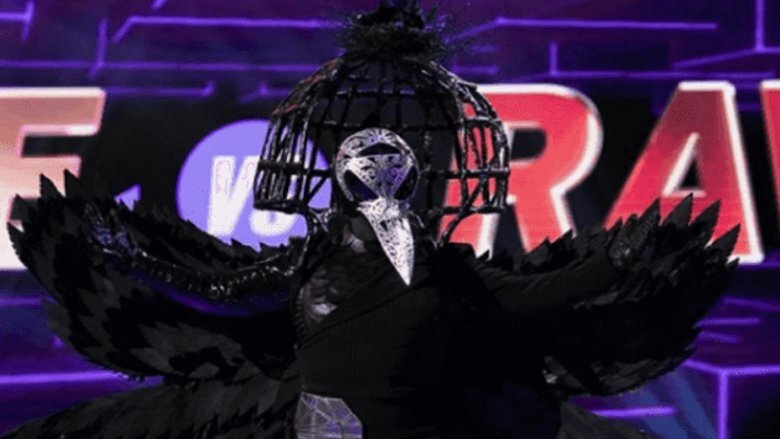 As of January 2019, The Masked Singer had also earned the highest rating for any episode of any non-scripted show in two years. People really like to see football players and comedians try to sing!